Crazy about Aliens Love Underpants? This bright, bouncy rhyme will fit you perfectly. (It’s also great for bedtimes.) 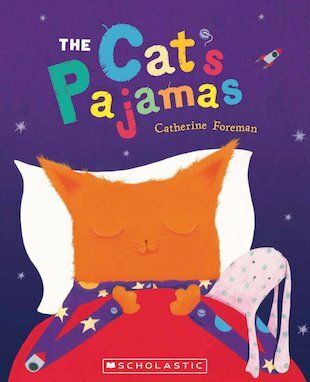 Clothes don’t come cooler than Cat’s colourful pajamas. This proud puss has a pair of jim-jams for every occasion. His space pajamas make him dream of Mars and shooting stars. His road pyjamas make him dream of rigs and diggers that dig. So what will happen when he wears his MONSTER pyjamas? You’ll have a GRRRReat time finding out!